I love dogs and I love stuff about outer space. For many years, my family owned a dog in some capacity or another, from when I was a baby until I was twenty-one. Because of this, I’ve always been uncomfortable with malicious harm coming to dogs in TV shows, movies, books, videogames and comics. As for outer space, I became fascinated with it pretty like any other kid alive during the 70s and 80s from watching Star Wars, Star Trek, the NASA launches on TV and stock footage from the moon landings, not to mention eating astronaut ice cream. One thing that burst that innocence bubble was The Challenger explosion in 1986. This was around the time that my elementary school class was doing our unit on outer space, and it was a grim reminder that outer space is not a friendly place. The concept that people could be trapped and perish in the tomb of a shuttle craft or just a space suit in the cold empty void was terrifying, and potentially not something an elementary school teacher wanted to address. 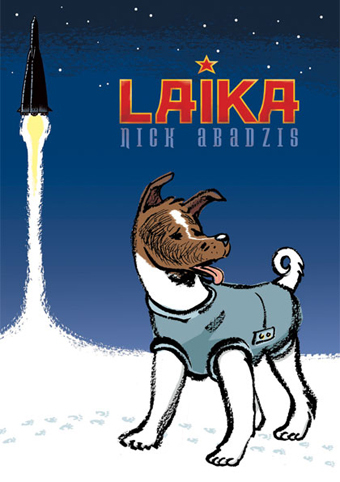 During this space unit my class covered the history of space travel, and early on I learned about Laika. Laika became the first animal to orbit the Earth. She was launched on November 3, 1957. The sole occupant of Sputnik 2, she became one of many footnotes of the Cold War space race between the USSR and USA. After the success of the Sputnik 1 satellite, Soviet leader Nikita Khrushchev wanted to push the launch of the follow up mission to coincide with the 40th anniversary of the Bolshevik Revolution. The craft launched would also be carrying an animal passenger so that the way could be further paved for human space flight. This is the part I cared about as kid, the part about a dog in space! It was a mind blowing concept to think about. There they were in the textbook, black and white photos of Laika in her space suit. This really happened! In my imagination, I thought of a dog piloting a ship, going on space walks and getting into crazy adventures with aliens and moon rocks. Upon touchdown and her arrival home, she must have been a hero to not only the Russians but to the world, having proved that dogs can wear space suits and have adventures beyond chasing their tail. Parades must have marched down the main avenue of every major city in the world in her honor. This was my conclusion to the story because we were never really told what happened to her. It was a blip in the history books for children to marvel at and for adults to think of as cute. As the years went on and the Cold War died down, I became aware of the true nature of the space race and how it was just a piece in a very large puzzle. I was still fascinated by outer space and space travel, but was discouraged by how little progress we had made since the early 70s. 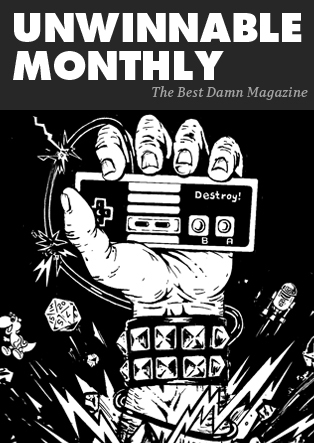 When I realized that much of the progress and funding given to NASA from the 60s to the 80s was a result of political one-upmanship between two world superpowers – and not the need for the people of Earth to explore and better themselves – I was disappointed, but what crushed me was when I discovered the fate of Laika. For various political reasons, Laika’s experience in the Sputnik 2 was always kept vague by the Soviet government. It was known that she perished in the craft but, according to government representatives, it was supposedly a humane, euthanasic death. In fact, the death occurred because of the cabin overheating to extreme temperatures due to a malfunctioning thermostat. Because of the desire to make this a victory for the USSR, the newspapers of the time played down the death and celebrated the feat. For decades, the scientists and people who worked on the project stayed quiet about the details, for fear of their government. In the late 90s, the facts finally came out that the project was rushed and the result was a shoddily constructed craft. There was never any intention of Laika’s retrieval. Various animal rights groups reacted strongly after Sputnik 2 and future space flights were stricter on the animal passengers being treated fairly, with mandated tests to prove that the equipment was functioning properly. With human flight becoming more common in the 60s, the need for animal astronauts was less apparent. Now, even humans don’t go up much anymore. 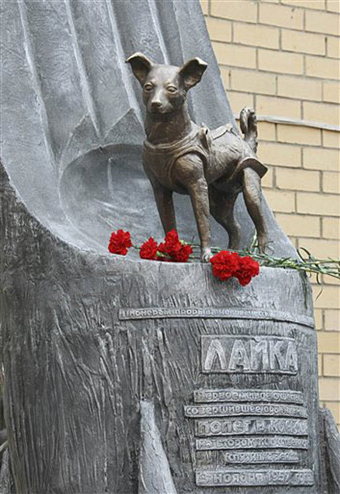 A statue and plaque memorialize Laika in Star City, site of the Russian Cosmonaut training facility. Much like the illustrations from the 1950s and 60s that depict space travel and the future, it is a landmark to the realization of dreams, and to the harsh truths and sacrifices that sometimes accompany them. Two books I recommend that relate to the topics that I’ve brought up are the graphic novel Laika, by Nick Abadzis, and Packing For Mars, by Mary Roach. The former is a beautifully illustrated tale about the three years of Laika’s life and the many people she was in contact with in that brief time, from the little girl who reluctantly had to get rid of her, to the scientists and workers who were touched by the plucky mutt. The latter is a non-fiction book factually and humorously written by Mary Roach about the trials and tribulations of human space travel. It touches on the history of the various space programs and the mundane unpleasantness and awe of space travel, as recounted to her by various astronauts. It also goes into the recent retirement of the space shuttles by NASA and what the future holds for manned space travel. Writing about Laika for this piece made me think back on the dogs in my life. Ebony ran away when I was born, Vincent was a black standard poodle and evil super genius who merits an article entirely about him. The last dog my family owned was Murphy, a black terrier mutt who was incredibly easy going and loving, and we loved him back. He touched our lives in the way that only those special pets can. After his passing we could never adopt another dog again, in memory of our furry family member. When I was younger I used to dream about being an astronaut and traveling amongst the stars. Not so much anymore, though I still dream about Murphy. Rachel Dreams of Space All in the Galactic Family No Disintegrations Mommy, Why are All the Bad Guys Russian? Mommy, Why are All the Bad Guys Russian?